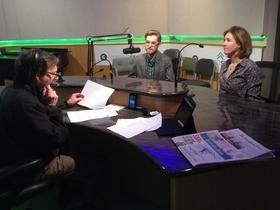 Current State host Mark Bashore talks with two of the artists who worked on the project. Philip Rice is a student in composition at MSU, and Cindy Hunter Morgan is a local poet and lecturer in the English department. See the full story and listen to the broadcast here. Music review from Eric Prindle on Ryoji Ikeda‘s Superposition, a fascinating multimedia work that premiered with University Musical Society in Ann Arbor a few weeks ago. From Scandinavian sound artist Leif Inge comes a transcendent soundscape made out of Beethoven’s 9th Symphony. By stretching the recording to 24 hours with no distortion or pitch shifting (achieved through high-quality granulation), the piece is fundamentally changed from a goal-oriented tonal work with a dramatic narrative to a slowly-evolving sonic environment more closely resembling micropolyphonic works of Ligeti or post-minimalist pieces by John Luther Adams and R. Murray Schafer. The source recording is from Naxos, conducted by Béla Drahos with the Nicolaus Esterházy Sinfonia and Chorus. The work can be heard streaming 24-hours a day—click here to download the internet radio station link (open in iTunes or VLC Media Player). 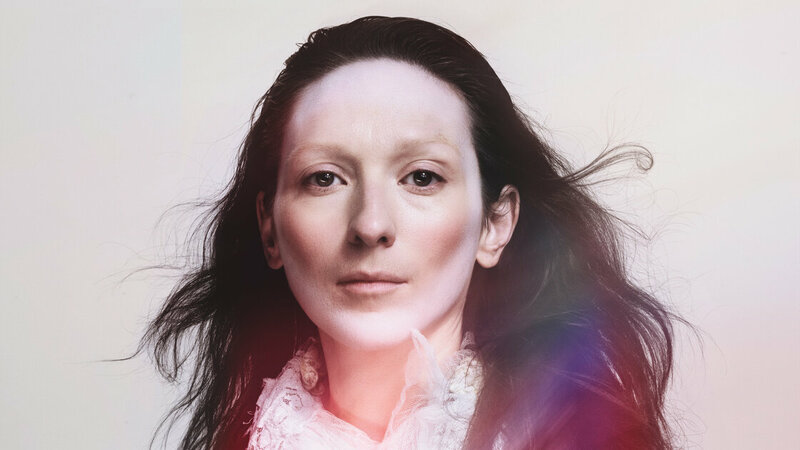 My Brightest Diamond’s new album, This Is My Hand, comes out Sept. 16. Our new album, Statements, featuring all music of MSU composers, is now available online and in print. The first run of 1,000 copies is circulating among members of the studio, and can be obtained free of charge. Special thanks to Mark Sullivan for the photographs, Philip Rice for the jacket design, and Justin Rito for heading up the whole operation. The full album can be heard online and downloaded for free via Bandcamp. 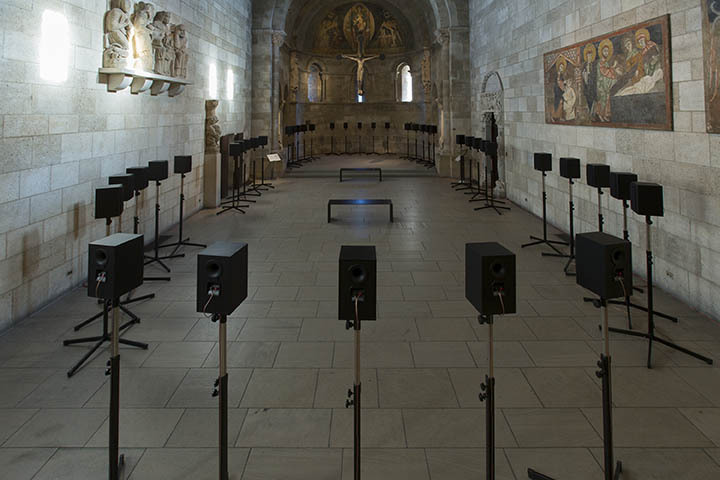 The Forty Part Motet (2001), a sound installation by Janet Cardiff (Canadian, born 1957), was the first presentation of contemporary art at The Cloisters. Regarded as the artist’s masterwork, and consisting of forty high-fidelity speakers positioned on stands in a large oval configuration throughout the Fuentidueña Chapel, the fourteen-minute work, with a three-minute spoken interlude, continuously played an eleven-minute reworking of the forty-part motet Spem in alium numquam habui (1556?/1573?) by Tudor composer Thomas Tallis (ca. 1505–1585). Spem in alium, which translates as “In No Other Is My Hope,” is perhaps Tallis’s most famous composition. Visitors were encouraged to walk among the loudspeakers and hear the individual unaccompanied voices—bass, baritone, alto, tenor, and child soprano—one part per speaker—as well as the polyphonic choral effect of the combined singers in an immersive experience. The Forty Part Motet is most often presented in a neutral gallery setting, but in this case the setting was the Cloisters’ Fuentidueña Chapel, which features the late twelfth-century apse from the church of San Martín at Fuentidueña, near Segovia, Spain, on permanent loan from the Spanish Government. Set within a churchlike gallery space, and with superb acoustics, it has for more than fifty years proved a fine venue for concerts of early music.